So much yarn, so little time. : My pond, the frog nursery! 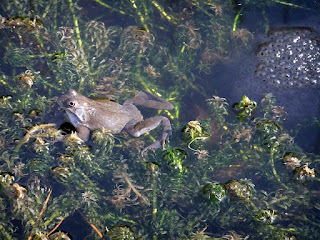 This is the scene from my window - the pond looks as if it's boiling as the frogs jostle for the best position! 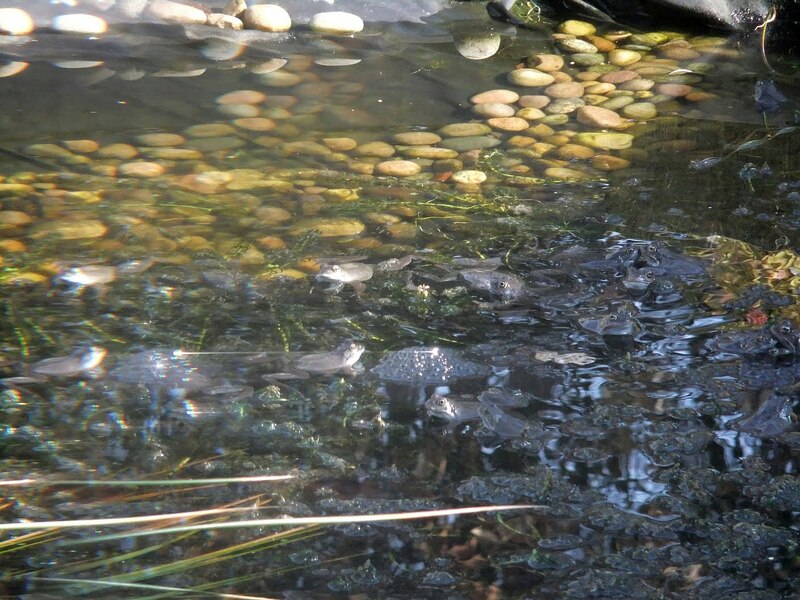 Click on the pic to enlarge it and see how many pairs of froggy eyes you can spot. The moment I go outside they all vanish - except today one decided to stay and pose for the camera. And this is why - look mum, look what I've done! 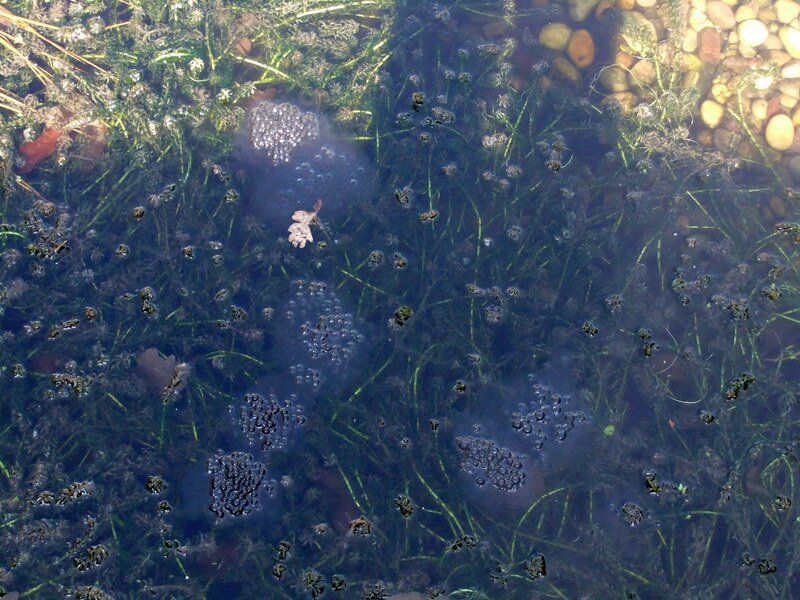 On Tuesday there was just one small blob of frog spawn - today (Thursday) there are SIX! 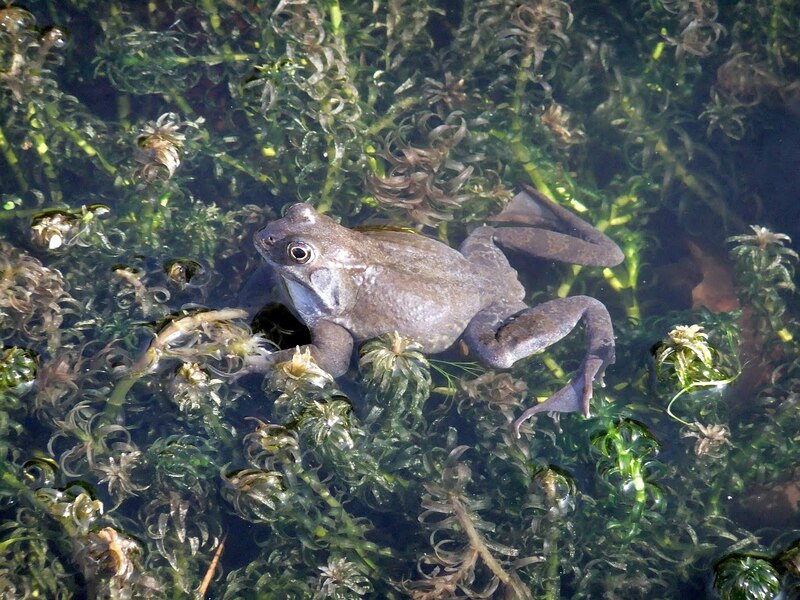 We'll be moving house next month so won't see them grow up this year, I've got enough packing to do without working out how to transport amphibians! 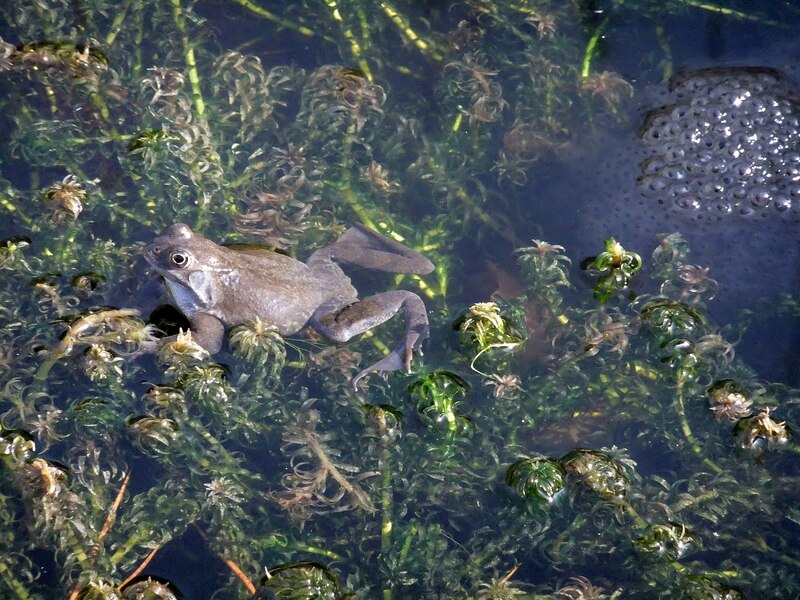 In any case, it's not advisable to move pond life around, it can unwittingly spread invasive non-native plants. 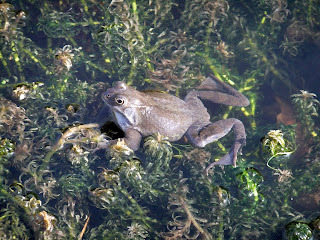 I'm sure we can soon attract some frogs to our new home.